It is difficult to think of any animal more closely associated with a particular nation than the kangaroo; this book places this strange yet beloved creature in the context of Australian and global history, revealing that the relationship between mankind and macropod is darker and more complex than it might seem, and fraught with contradictions. 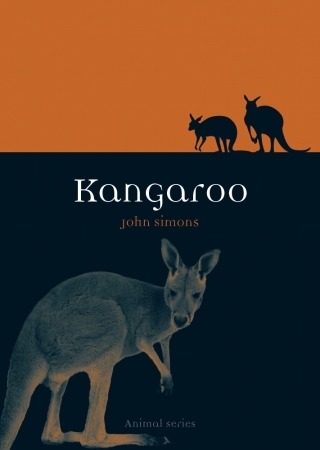 In Kangaroo, John Simons examines the use and abuse of this animal, a favourite at zoos across the world, and its place in culture. From indigenous Australian societies to the first contacts with Europeans, and from their export for exhibition in the Western world to its adoption as Australia’s ‘national’ animal: the kangaroo evolved at the intersection of very different cultures. And while it has come to represent Australia like no other animal, the kangaroo is still greatly misunderstood there and is at the centre of controversies regarding the eating of its meat and the culling of its populations. The creature’s true diversity has frequently been reduced to a handful of stereotypes – misrepresentations that now threaten the future of the species. Written in a lively and approachable style, this fascinating pouch-sized look at these engaging creatures will appeal to all kangaroo lovers as well as those concerned with Australian animal welfare and conservation. John Simons is Executive Dean in the Faculty of Arts at Macquarie University, Sydney, and a Fellow of the Zoological Society of London and the Oxford Centre for Animal Ethics. His other books include Animal Rights and the Politics of Literary Representation (2002), Rossetti’s Wombat (2008) ) and The Tiger that Swallowed the Boy: Exotic Animals in Victorian England (forthcoming, 2012). 1. What is a Kangaroo?